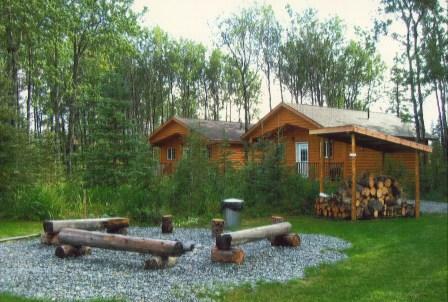 At Aspen Hollow Lodging in Kasilof, you will enjoy a fully furnished cabin with private baths, equipped kitchen, high-end bedding and furnishings, BBQ grills, and a freezer for your exclusive use. We offer onsite coin laundry, WIFI and satellite TV. 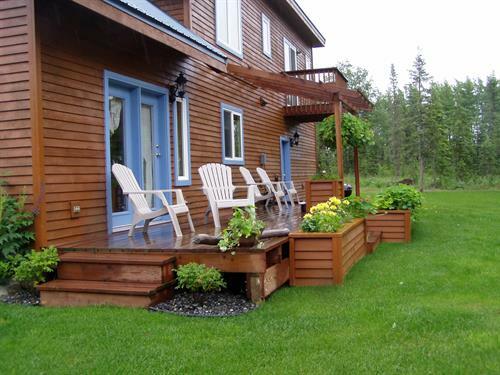 With weekly discounts available, you will want to base your visit to Alaska's Kenai Peninsula from our convenient location south of Soldotna. 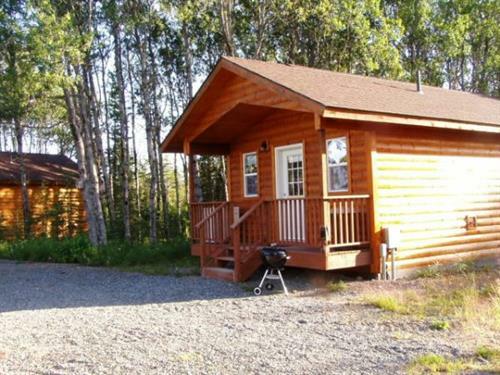 With the Kasilof River nearby, and the shoreline of Cook Inlet within walking distance, you will find adventures such as a Ninilchik or Homer Halibut Charter to be an easy drive from our paved access. Are you interested in a salmon charter? Contact us! 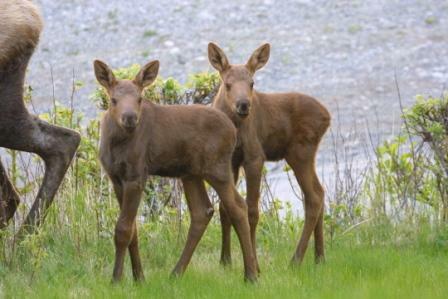 Wildlife abounds in our wooded setting, and guests regularly see moose around our well-kept grounds. Aspen Hollow Lodging is not ''your average cabin in the woods'' by any means. 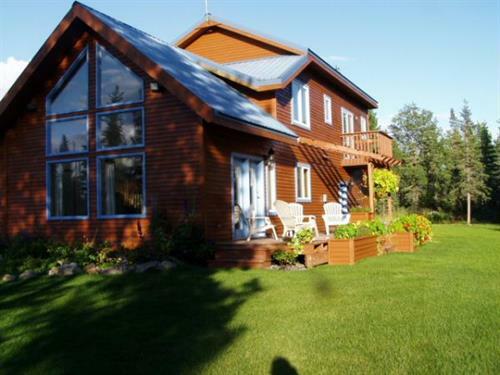 All of the cabins are professionally built by a licensed contractor, and furnished right! Save money with our fully equipped kitchens. We supply the basics such as coffee, sugar, salt/ pepper and a selection of teas, but have the cookware and equipment to help you enjoy your own gourmet dining in the privacy of your cabin. Or take advantage of your own picnic table. Each cabin has a front porch and back deck as well. You can enjoy the company of other Aspen Hollow guests around our stone campfire pit area, or soak in one of our spas. We offer a discount to Active Military Families.